Predicting what the trends will be 6 - 12 months in advance is not an easy task. Inspiration can come from anywhere... walking down a city street, seeing something in a movie or maybe even meeting someone new! One of the many reasons our design team is so talented, is their deliberate focus on finding things that inspire them. The trick is aligning personal inspiration with what the mass population is seeking, while staying on trend and within a certain price point... it's definitely not an easy trick to conquer! Our designers seek inspiration and research trends in many ways; looking through design and fashion magazines, home and lifestyle books, perusing art galleries, traveling to new places and visiting retail stores. This week, our design team visited Charlotte, North Carolina to find inspiration and take note of trends in the apparel and furniture industry. Fashion apparel tends to set the trends and leads the way for home furnishing trends. 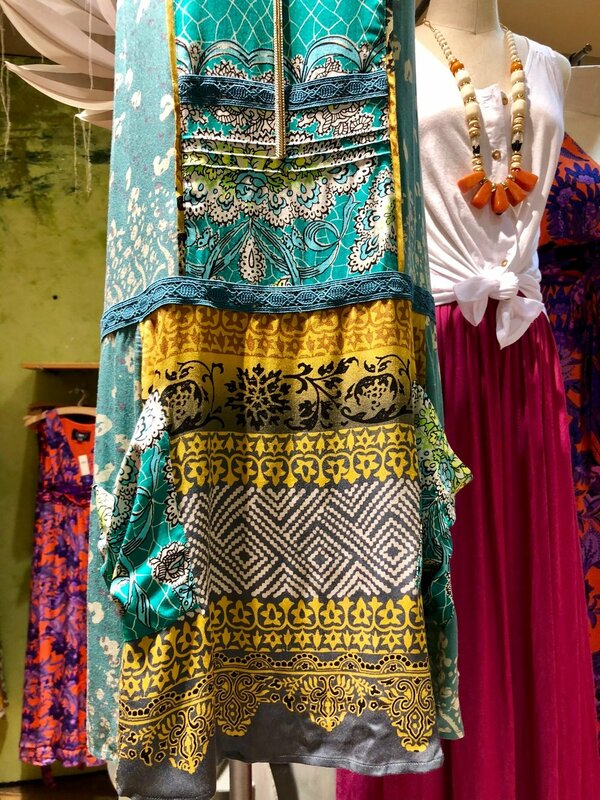 The design team went to a number of high end apparel stores to feel textures and see new color palettes... something that you may never wear yourself could spark an idea for the next season's top selling pattern! While in Charlotte, the team stopped by one of our customer's stores, Crate and Barrel. As always, there were many beautiful things to see, including the sofa below that is upholstered in STI pattern, Geneve! 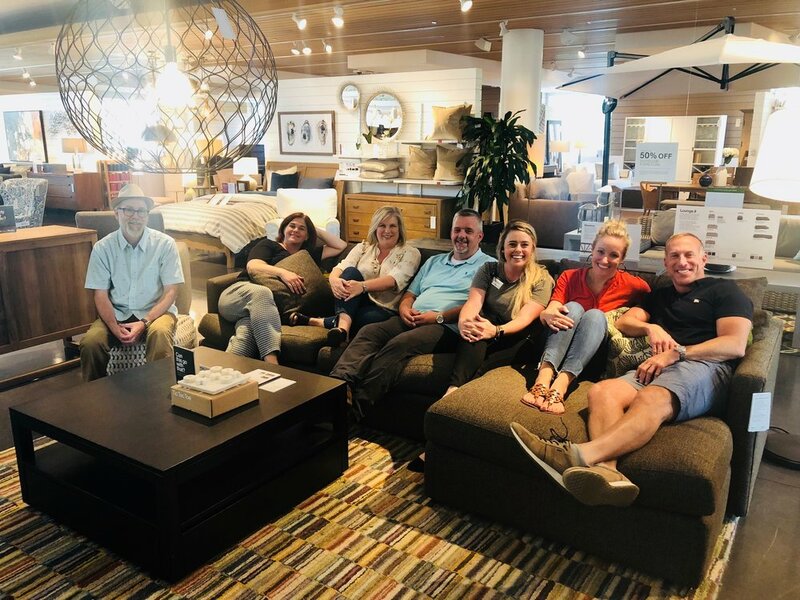 Katherine and Claire, the Design and Furniture Experts at Crate and Barrel, were great hosts and showed our team all the great things their store has to offer! Check out the photos below from the Design Team's "Inspiration Excursion"! Above: STI Design Team (left to right) Jeff Davis, Karen Porter, Gina Grantt, Todd Lavender, Claire (Crate and Barrel Design Expert), Katherine Shoaf and Glen Read sitting on a Crate and Barrel sofa upholstered in STI pattern, Geneve. Above: Our helpful and knowledgeable Crate and Barrel Furniture & Design Experts, Katherine and Claire! Above: Inspiration (and lunch!) 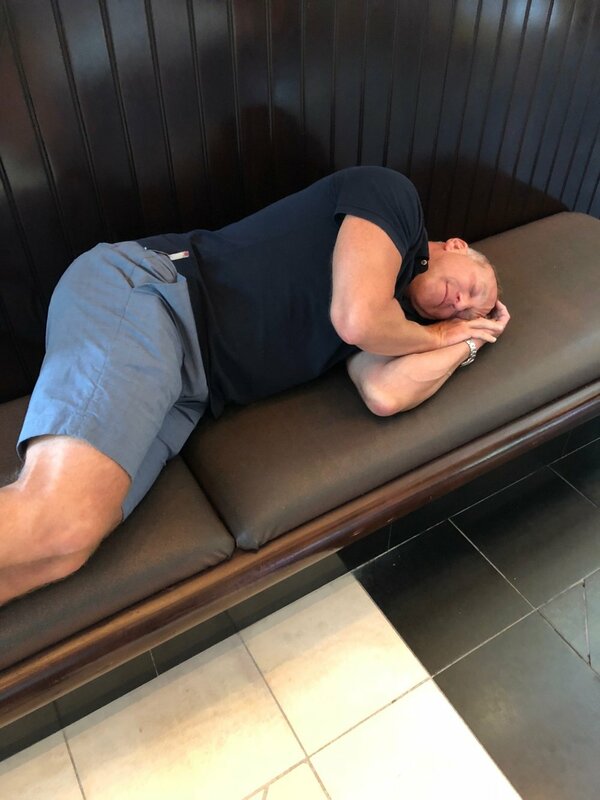 make Glen Read a little tired! Above: Some of the design team's favorite apparel patterns and colors!